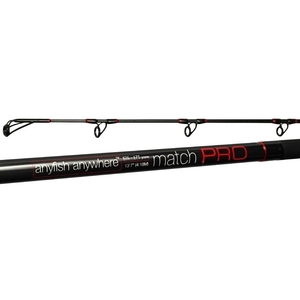 Anyfish Anywhere 2 Piece Red Label Range - Match Pro Surfcasting Rod - 13ft 7in. This rod is designed as a multiplier rod and at 13 7 it is built to deploy bait to the horizon, with 175 gm lead being its favourite casting weight. Anyfish Anywhere have been making beach rods for over ten years we are pleased to say that during this time those rods have been used by many of the worlds finest international match and beach anglers; catching great numbers of fish and winning matches both around the world and in UK waters. But In all that time, Anyfish Anywhere have never made rods specifically for those anglers, for the elite of our sport, for the best of the best. The new Match Pro is that rod. Its the ultimate expression of ‘designed for purpose’ in modern competetive sea angling and is the first in a new series of groundbreaking sea angling rods. 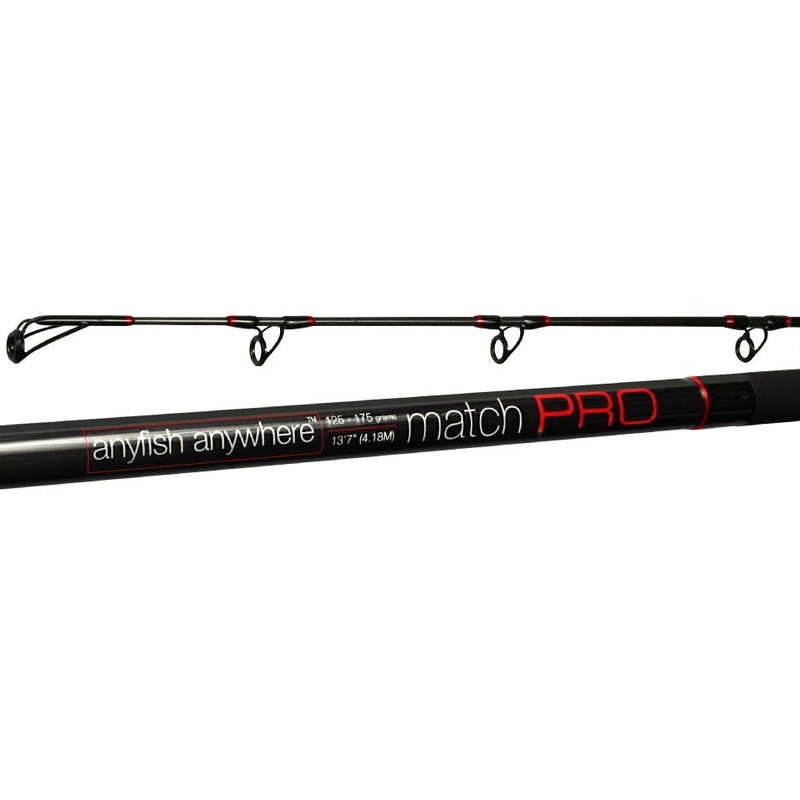 It is called the Match Pro because it is what Anyfish Anywhere consider to be the worlds first truly Professional standard beach fishing rod. Made with the very best materials, feature high end Fuji fittings and are hand built to an exceptional standard. By the introduction of a new material that is both flexible and rigid in equal measure Anyfish Anywhere have managed to produce this rod and keep the weight down to a minimum and construct it with a lower diameter of under 24mm that has helped us to make a rod which Anyfish Anywhere have given the characteristics for casting and fishing whilst in a frenetic situation when the fish are feeding. It will fire 150gm and will it soak up and load 200gm with a slight adjustment to technique and timing when the conditions arise. It is quite simply THE best match fishing rod Anyfish Anywhere have ever made, and is a true Professional standard rod.